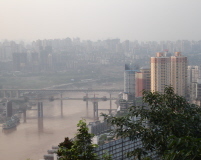 We flew into Chongqing, an inland port at the junction of the Yangtze and Jialing rivers. 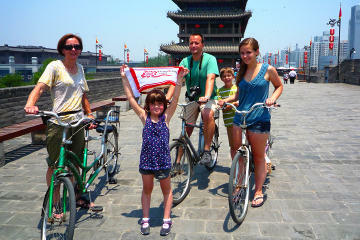 This is one of the "gateway" cities for Yangtze River Cruises in China. Actually, this is not only a city, this is a municipality. The area as large as Switzerland, our guide told us, it would take roughly 16 hours to traverse from one end of the "city" to the other end. Yes, traffic is that congested here too. And one thing was conspicuously missing from the picture: there were no bicycles as this is a very hilly city. The Chongqing municipality has developed into a heavily industrialized city, in an effort to develop the western part of China and help in the resettlement of millions as a result of the Yangtze River Dam Project. We didn't spend much time here but there were a couple of nice stops that the kids enjoyed. We made a short visit to Eling Park where there was a model of the Yangze River trajectory and was quite helpful in showing us where our cruise would take us. There is a resident painter here too, you will see him at the showroom, his paintings might look just like any other Chinese painting you see, however, the remarkable thing was, that our resident painter had no hands and used his mouth to hold the brush. It was really amazing watching him perform his magic. After a fantastic dinner with the city lights as backdrop, we headed to the docks to board our Cruise ship which would depart early the next morning. Before we proceed, let me just add that summer is a very hot and humid time of the year, specially in this area. Bring mosquito repellent just in case you need it! 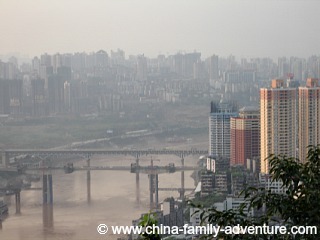 On to Day Two: Leaving Chongqing and the Start of our Yangtze River Cruise! 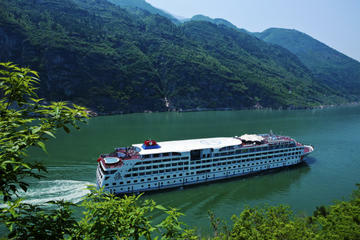 Most Yangtze River Cruises will either start or end in Chongqing. 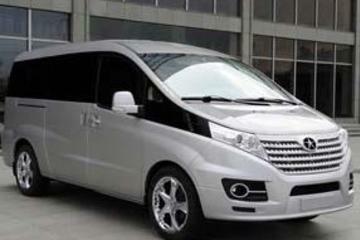 Below are some easy and practical ways to arrange your transport between the Airport, the Cruise Port or a Hotel if you will be staying overnight in the city.